I decided it was past time I did a proper "how to" on this as it crops up quite regularly. 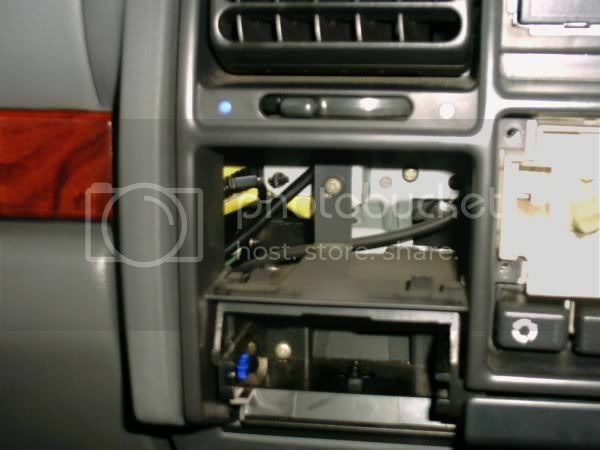 A common failure on Discovery Series 1 vehicles (both Tdi & V8) with the two-button alarm system (i.e. all vehicles from 1996 model year to 1998 model year) is a component called the "spider". Symptoms of this failure are typically an intermittent non-start or cutting out while driving (or both), which usually gets progressively worse until it is happening very regularly. Typically you will find that leaving the vehicle from a few minutes to a few hours will allow it to be started, only for the fault to repeat later on. 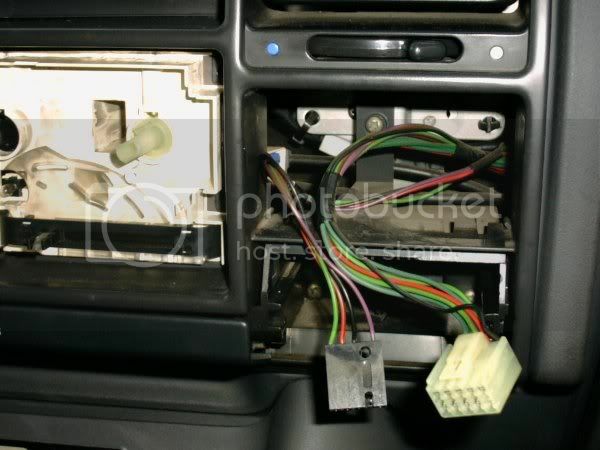 The spider unit is a small black box of relays, controlled by the immobiliser & alarm, mounted on a panel just in front of (toward the front of the vehicle) and below the radiocassette slot - a very inconvenient position which is designed to be very inaccessible to thieves in a hurry. 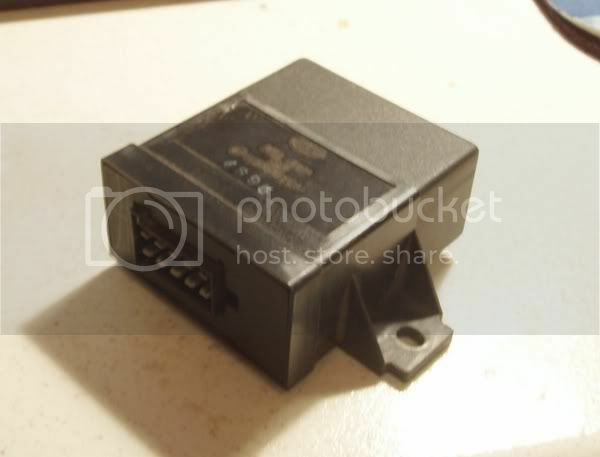 This contains relays which isolate various key circuits of the vehicle; the feed to the fuel solenoid, and the feed to the starter solenoid on a 300Tdi, and ignition, fuel and starting circuits on a V8. 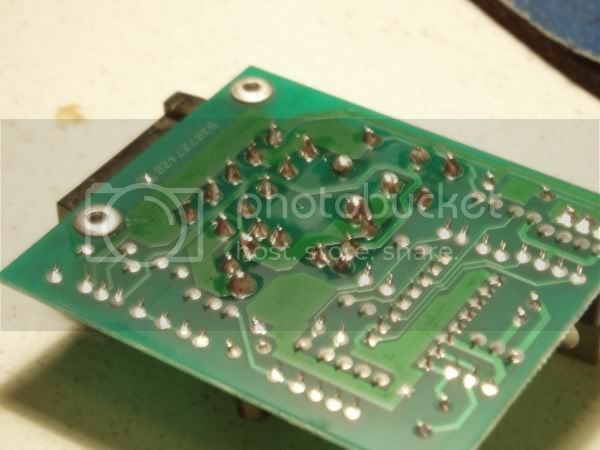 A combination of heat, vibration and a not very good quality circuit board eventually results in a dry solder joint on the circuit tracks inside this unit, which often then get hot and burn out completely. It happened to my 1996MY Discovery V8i, the first one I ever saw with the problem in about 1998/99, and it took me about three months to find the fault by which time I was not in a very good mood ... the purpose of this post is to prevent anybody else having to relive the level of irritation I faced with a vehicle which would sometimes start, sometimes not, sometimes cut out while driving and then come back to life while coasting to a stop, sometimes die at junctions, sometimes die for an hour or more at a time. So far, I have seen the fault affect both the fuel and cranking circuits on different 300Tdi vehicles, and the ignition circuits on my V8. I assume it can also affect the other circuits on the V8. Before you do anything else check all the fuses and that the battery is OK - it's really very annoying to pull everything to bits only to find a blown fuse somewhere! The next thing to do is to check that the immobiliser is not actually active - if it is, there will be a red "key" symbol in the dash when you try to start the engine - and if there is then the problem is elsewhere, perhaps the alarm ECU, key fob programming or whatever. 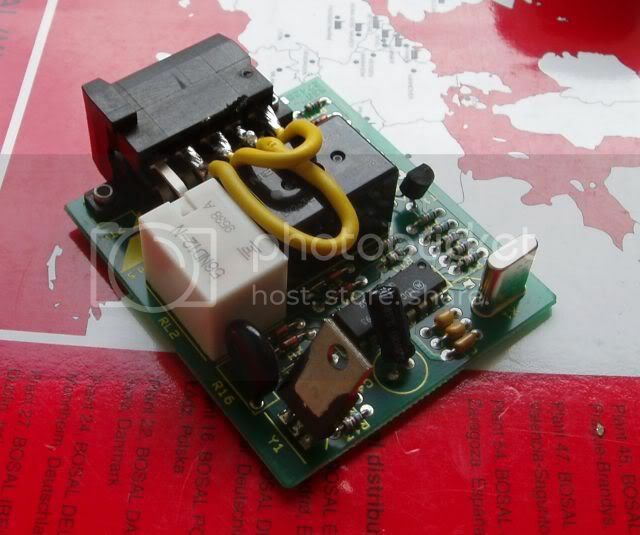 First you need to identify and check the offending circuit. Does the vehicle crank and not fire, or does it not crank over? If it cranks but does not fire, then the problem is in the fuel solenoid circuit on a Tdi, or ignition/fuel on a V8. 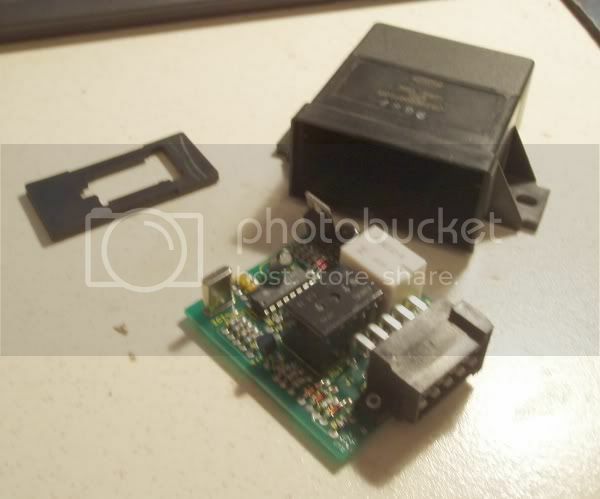 Take a digital voltmeter (DVM) and check if the fuel solenoid (Tdi) or ignition coil/fuel pump (V8) has a 12 volt supply to it by connecting the meter to the relevant blade connector and earth and turning the key to position 1 (on). If there is a 12 volt supply to the circuit, then the fault probably lies elsewhere. (Note that a dry joint may not always provide a perfect break in the circuit; on my own vehicle, it caused a voltage drop at the coil which was only apparent once you started cranking. As a result all appeared OK at rest, but when you tried to crank there was no spark. As I "knew" there was power to the coil, I didn't look at this any further, so it took rather a long time to find out that the power consumption when cranking was causing a voltage drop at the coil, which in turn caused the ignition amplifier module to cut out). ...if it's the V8 fuel pump you're on your own as I haven't had that out! If there is no voltage at the circuit in question, then the next stage is to take the spider unit out - jump down to Repair. This is fun. Really fun in only the way that a dashboard with lots of fiddly little screws and bits that you can drop in inaccessible locations can be... allow 2-3 hours at least. You don't need many tools, in fact I think only a couple of Philips screwdrivers, a soldering iron/solder, and something to make some clock keys out of, plus the radio removal keys for your particular type of radio. I suggest you get hold of a workshop manual for this as it makes life easier if you know what order to take things out in and where all the screws are hidden but a brief rundown is below -- sorry if I have forgotten anything but it's a while since I took one out. 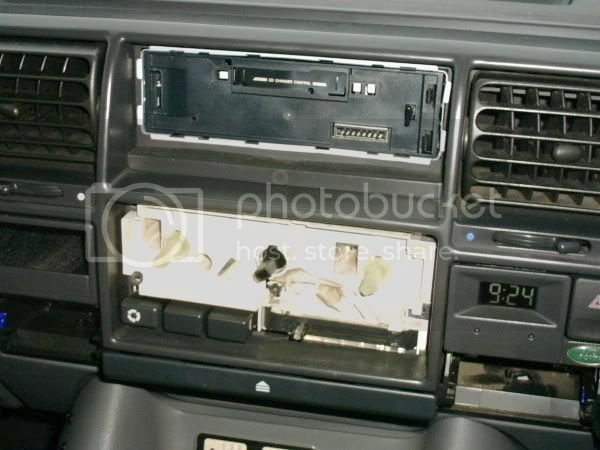 You will now be pretty much at the stage of being able to take the black centre console panel out ... so take the screws out and wriggle it out. It tends to catch on things but will pop out with a bit of a tug. The face vents etc come out with the console. Behind all this you will find a small black box screwed to a metal face which slopes towards you at about 45 degrees. It has two screws holding it in and a 10 pin multiplug coming out the RH side which is covered up by a metal security plate so you can't easily disconnect it. Take the unit out. This is a "sealed for life unit" which it is not possible to repair. Ignore that sentence. 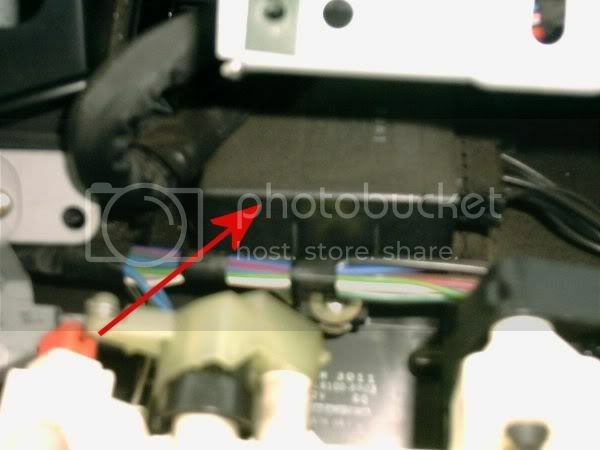 You will see that on the end of the box where the connector is, the plate is a press-in fit. Get a small flatblade screwdriver and lever out the end plate, working your way round until it pops out. The whole circuit board will slide out. 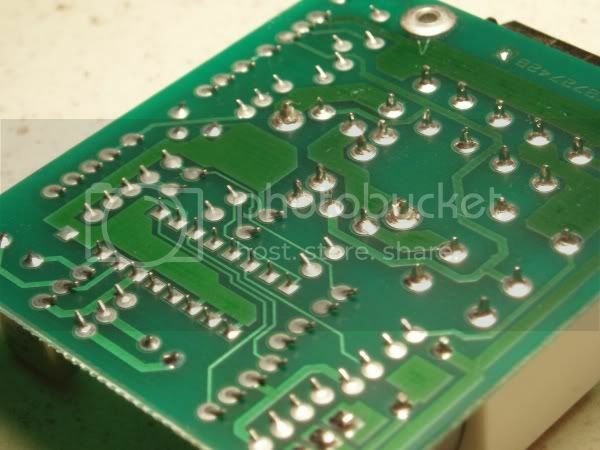 Look on the back of the circuit board (the solder side). 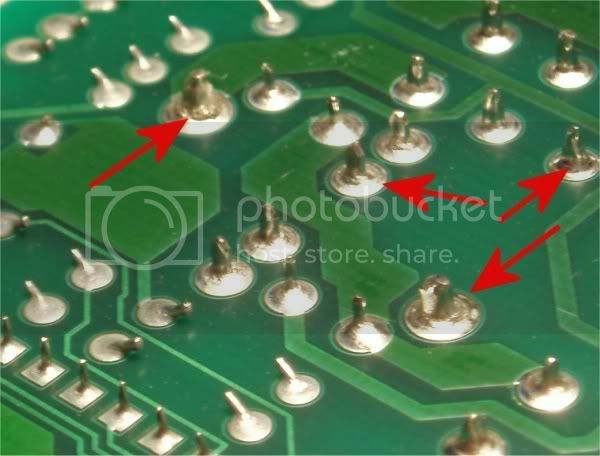 Chances are the fault will be immediately obvious, if it is a little blackened and burned, but if not, examine all the solder joints carefully, if the unit has failed in the normal way there will be a "dry joint" (where the solder joint has cracked up making a bad connection) on one of the larger pins on the board. Basically all you need to do is to get a decent fairly high powered soldering iron with a small point on it (I use a 40 watt) and re-solder the broken connections. 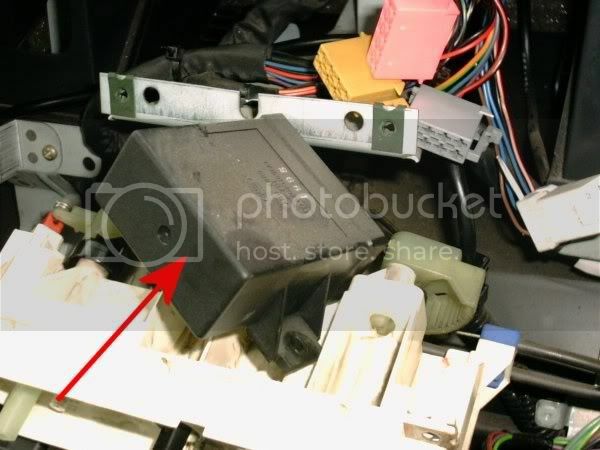 Depending on how much you enjoyed taking the unit out, you might also want to do all the other relay and connector pins while you are in there - it makes sense. As an option of course you can replace the unit, I think it costs about Â£40 or so and the part number is on the unit, usually AMR4889. Put the box back together once it has cooled off a bit, and connect it up. At this point it makes sense to test the system before you put everything back in ... so reconnect the battery and fire it up - hopefully everything will now work! I cannot begin to explain the aggravation this caused me and the amount of work that went into finding one teeny little dry joint on a circuit board inside a sealed unit for which there is no circuit diagram hidden right in the guts of the dashboard ... so I thought it was worth sharing the detail in order that others don't have to go through the "learning process" I did! There is indeed a bypass solution (on the fuel (Diesel only) solenoid side of things anyway). Just supply it with a ignition conrolled 12V supply. Not always considered a 'proper' fix but it worked form me no probs. Oh and if this circuit completelty lets you down (and it will!!!) leaving you no way of getting home simply take the solenoid controlled plunger (again Diesel only) out of the stop valve and put it back together. The spider circuitry is detailed in the official 1996 Discovery Electrical Troubleshooting Manual, though I always found the circuit diagrams in that as clear as mud! The official name for this horrible little box of nightmares is "Engine Immobilisation Control Unit (Spider) (Z271)" and it appears on various pages to do with starting and charging though AFAIK there is no single diagram anywhere in any of the literature that shows the whole thing and there is certainly nothing showing what goes on inside it - I suppose that is a security measure. You can do a bypass of any of the circuits as a temporary measure, though the V8 fuel pump would be rather hard I think as you'd have to pull the floor up in the back - probably easier to fix it properly! However, since you need to take the thing out to be sure that this is the problem, once you have it out you might as well fix it anyway. The final straw for me on this one actually happened after I fixed it. I'd been working on it from 9am one Saturday morning, checking and following through all the circuits in turn, I was at the spider unit when I found almost by accident there was an odd 3 volt drop across the input and output wires. As the fault only occurred when cranking I'd not spotted the difference between the voltage drop caused by the starter, and the extra voltage drop over the dry joint. I pulled the thing to bits and was unbelievably chuffed when I found it was all burnt up inside because I knew I'd found the problem. Finally, at about 4pm that afternoon, I had it all back in to the vehicle, fired it up and away it went, a dozen or more stop/starts later and I knew it was good to go. ... and the %%%%ing grub screw came out of the gear selection linkage!!! Nearly a year later... I finally have some pictures to add to this so it makes a bit more sense! Thanks to Underdog for most of the pictures, a couple of the circuit board ones are mine as I just fixed another spider for somebody yesterday, but most are Ian's. ...and here it is, the little *&*&%$^ Resist the temptation to stamp on it, as you can't buy them any more! this replaces the alarm spider, maintaining the vehicles alarm. Now there is an "official bypass" available I thought I would post details of the free version. When working on what I thought was a dud spider unit I had a problem. Vehicle wouldn't go, spider symptoms, he sent in the spider and it had dodgy connections on it. I fixed it and sent it back, still wouldn't go so he sent it back again. After a bit of head scratching and poking through the wiring diagram I decided the most robust repair was to hard-wire the right pins for inputs and outputs together, it darned well couldn't go wrong then the alarm still works OK though. The vehicle in question still wouldn't go, and the fault turned out to be a blown fuse, which hadn't been checked properly but the principle is sound enough so if you do it as above, it should be a permanent solution! 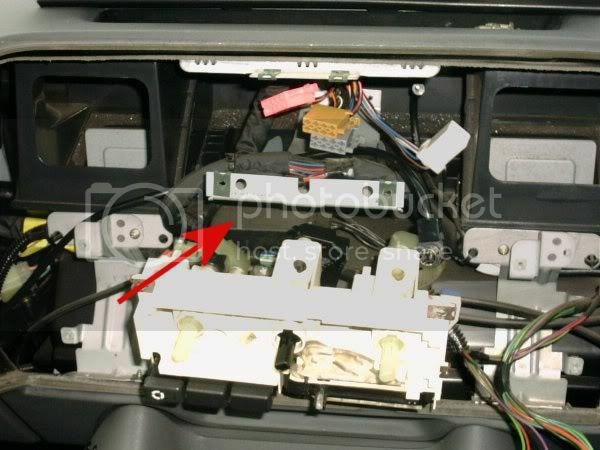 The Discovery 300Tdi Auto vehicles built for some markets (UK market is one) had EDC = Electronic Diesel Control, and these vehicles do not have a spider unit fitted so check this before you pull the dash out! Immobilisation in EDC engines is via the engine ECU - totally different system, totally different problems - and the above info does not apply. I am told some manual vehicles also had EDC but have never seen one. Not all automatics have EDC - ROW export spec vehicles had the mechanical injector pump as late as 97MY at least. EDC engines are identifiable by a load of electrical cr&p on the injector pump, the purpose of which is to increase the 111bhp to 120bhp for auto vehicles to compensate for some of the losses in the transmission. I just spent 3 days looking for a little black box called the spider. I have a 1998 Discovery 1 and had the problems you described. Won't start, let sit starts ect. I tore out my dash in 3 degree weather because it finally became a 5000 pound paper weight and would not start at all. You can imagine by displeasure when I finally got the center dash free and there was no little black box. After many quires and hours looking at land rover circuit drawings I finally found out that in 1997 or 1998 land rover built the engine immobilizer circuit into the alarm module Z163 and used a transistor instead of a relay. It is behind the dash trim under the glove box. It has 2 connectors C225 and C274. If you solder a jumper between pins 10 and 11 the truck will start. 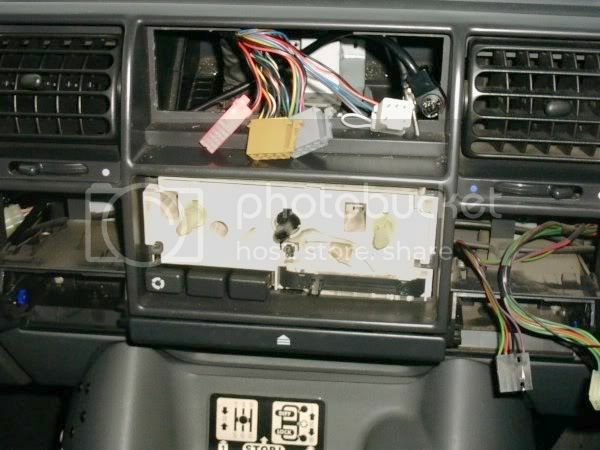 Please let people know that at least 1998 up does not have a spider relay deap in the dash. Thanks for the info though it got me started down the right path, just didn't need to take the side trip through the dash.